I can still him howling out of radio XERB “sockin the soul to yer baby from Tijuana” and doing what so many other DJ’s at the time wanted to do..Cut loose from the binds of tight formatted radio that would eventually strangle us for many a full moon. Here was a man whose “alter ego” took over and became the main personality. From humble beginnings as Bob Smith (Robert Weston Smith) he literally created a monster. But for some unknown kink, Bob did not become known as a total screwball. I admired his business brain and spent many hours at his production facility around the corner from the stations I was programming; KGBS 1020 AM & KGBS FM 97. Now all a distant memory. Bob introduced me to syndicated radio, showing how he’d record four to five different intros and outros to songs and then his production engineer would mix and match and rotate to keep the show sounding fresh. Growing to 2,200 stations in 40 countries around the planet. From XERB the almighty tower of pure 50,000 watts power ( nicknamed “the Border buster”) would spread its signal up though mainland USA as far North as Alaska breaking so many Broadcasting FCC rules and being in Mexico some tried, but failed to silence The Wolfman. How many teenagers listened to him on their transistors under cover of the bed clothes. The station produced unauthorised compilation albums, yes ye ole vinyl and sold them via mail order. They became a goldmine. There were rumours that XERB even had a machine gun post on top of the building in case it was attacked. It was not the USA’s music industry’s most favoured business, yet, you could also buy the LP’s off the shelves of LA record stores. Bootleg you betcha. Rule breaker Yup, Money maker oh yeah, big time! Still searching my old vinyl for one of the LP’s unless it was another one stolen by a light fingered house guest. But before XERB Bob honed his craft on XERF Ciudad Acuña, Mexico (across the Rio Grande from Del Rio, Texas) it was an AM station with 250,000 watts as we in Australia and many in the USA struggled with 5000 watts and less. You could hold one heck of a BBQ under its tower. There were some stations in the US with 100,000 watts for example KSFO in LA but they may as well have been peashooters up against XERF. 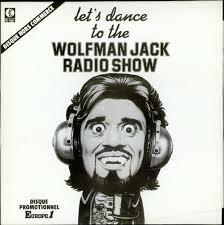 Then there came the irreverent Bob Wolfman Jack playing soul and R and B ( I mean the real R&B, not the pansy stemmed stuff of today) that US stations were simply too scared to play. 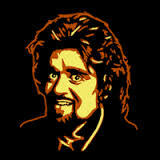 His character caught the ear of then budding film maker George Lucas (a sound freak in his own right) and in 1973 George created the movie American Graffiti and audiences were introduced to that dynamic and captivating character of Wolfman Jack in living breathing colour…. he evolved into a megastar. Canada’s favourite sons ‘The Guess Who’ paid tribute to Bob with: “Clap for the Wolfman”, Lead singer and keyboard player Burton Cummings was a close mate. Wolfman hosted Bert Sugarmans Midnight Special on NBC for 8 ½ years appeared in 80 other TV specials on various networks and 2,800 worldwide personal appearances. Plus his syndicated radio shows were heard here in OZ on Radio 2SM. I’d organised the shows for 3UZ Melbourne, but the 2SM blokes got in first when Lewis Bennett 3UZ EL Supremo told the 2SM boss Bill Stephenson about the Wolfman. 2SM was hungry for anything different hence Mad Mel (Mel Happy) was introduced. Bob The Wolfman Smith Passed away July 1 1995 at 56 years of age a true solid Rock and Roll legend no mamby pamby lily livered piece of milk toast. The alter ego took over the real person and the Wolfman lives on.